Beacon Reads is a bookstore to benefit the Howland Public Library that is staffed by Friends of HPL volunteers co-managed by Vicki Blucher and Marcia Frahman. It has been located at 309 Main Street since 2002. People who would like to donate items in good condition must bring them in to Beacon Reads during hours of operation. Please do not ask busy library staff to take books, DVDs, CDs, etc. to Beacon Reads. For reasons of public safety, do not leave books outside Beacon Reads or the library. Due to space constraints, Beacon Reads cannot accept all donated items, but especially text books, Reader’s Digest condensed books, National Geographic and other magazines, and any item damaged by mold or mildew. Items not accepted by Beacon Reads must be taken back by the donor. Your cooperation is appreciated. 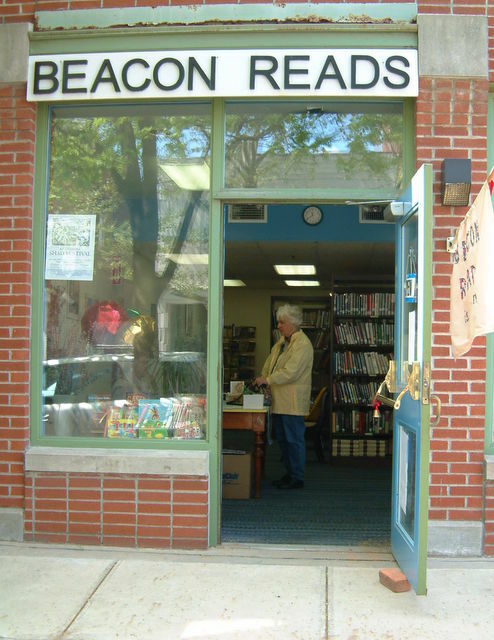 While Beacon Reads is run by dedicated volunteers, there may be days when it is closed due to illness, emergencies, etc. Your understanding is appreciated.